A letter to Mr. Hart informing him that Berry students do not make pottery and only do a limited amount of work in handcrafts. 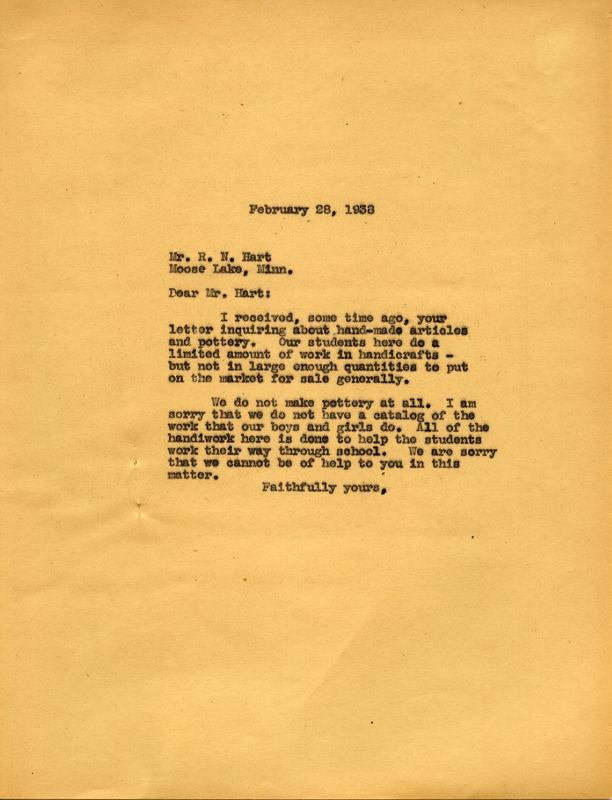 Martha Berry, “Letter to Mr. R. N. Hart from Martha Berry.” Martha Berry Digital Archive. Eds. Schlitz, Stephanie A., Jessica Hornbuckle, Savannah Harris, et al. Mount Berry: Berry College, 2016. accessed April 18, 2019, https://mbda.berry.edu/items/show/14407.